Watching movies on your iPhone is kind of amazing when you think about it, but the screen is so small that it’s not exactly a cinema-like experience. 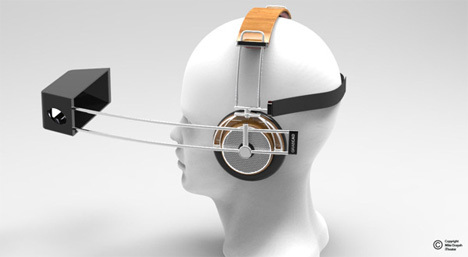 Designer Mike Enayah has created an interesting way to use the iPhone as a personal movie theater while blocking out the rest of the world. 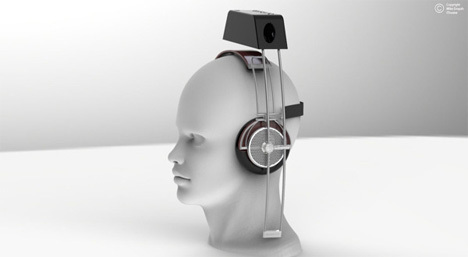 The iPhone Theater consists of a set of headphones with a movable iPhone-holding arm. The arm holds the iPhone in front of the user’s eyes at the optimal viewing position. 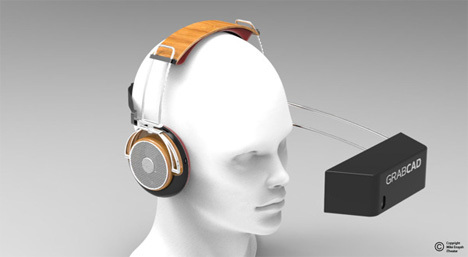 While the movie plays, the sound is piped through the headphones, creating an isolated movie viewing experience. Whether anyone would be brave enough to use this contraption in public is still an open question. But it could definitely be useful for keeping a cranky kid (or a cranky adult) occupied on a long car or plane ride.